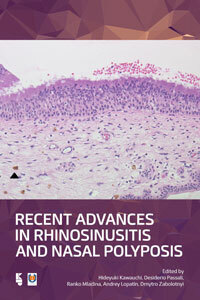 Proceedings of the 7th International Symposium on Recent Advances in Rhinosinusitis and Nasal Polyposis. October 4-6, 2013, Matsue city, Shimane, Japan. Publication details: Book. 2015. x and 192 pages. Publication date: 2015-10-12. Hardbound. 16x24 cm. E-book is available free of charge here. It was my great honor and prestige to host the 7th International Symposium on Recent Advances in Rhinosinusitis and Nasal Polyposis in Matsue City, Shimane, Japan on October 4th-6th, 2013, which had been held six times before in Europe as international consensus conference on nasal polyposis. I was fortunate to welcome about 450 participants in Matsue City, including more than 100 from overseas. The three-day program aimed at inspiring participants to share updated information in this field, exchange their opinions, and prepare our future-oriented consensus report on it. The congress opened with the Premiere Night Symposium on ‘Defense System and Pathology of Respiratory Tract Inflammation’ as a satellite symposium on October 3rd, being sponsored by Pacific Rim & Asian Mucin Research Symposium (PRAM), Department of Otorhinolaryngology, Shimane University, Faculty of Japan. The opening ceremony was followed by the three-day program for researchers and clinicians, including three symposia, six workshops, six special and keynote lectures, two panels, five morning and luncheon seminars, and free oral and poster presentations. Thanks to all delegates and volunteers, this 7th symposium was successful and had high levels of basic science and clinical investigations. The next president elect of organizing committee for the meeting of 2015 will be prof. Amarilis Melendez, Department of Otorhinolaryngology, Edificio Royal Center, Marbella, Panama. During the congress period, a number of overseas experts in basic science and clinical investigators with their spouses have been so generous and friendly to exchange their scientific mutual activities and private lives as well, enjoying Japanese traditional performances and meals. I would like to express my deepest appreciation to all faculty members, who enormously contributed to our scientific activities and housekeeping jobs to make this symposium a great success. I am sure that all participants enjoyed their stay in Matsue City. To publish proceedings papers post each conference on nasal polyposis is not a tradition, but this time I decided to do so, asking many of you to submit manuscripts to make a report of what has been discussed at the 7th symposium. My cooperation with Kugler Publications, Amsterdam, The Netherlands, has resulted in publication of the proceedings as an e-book on the website of the 7th Symposium. The advantages of this e-book are that the quality is high and that all articles can be downloaded by participants free of charge. It will be usable on multiple devices: computer/laptop, tablet PCs (iPad), iPhone, e-readers, etc. It is fully searchable and has easy navigation. If you prefer a paper copy of the actual book, Kugler Publications can also provide POD (Publishing on Demand) copies at a reasonable price. The e-book will be kept open on the web at least until the end of 2017. Hopefully, you will enjoy this e-book and utilize it as much as you can. I do believe this proceedings book will stimulate scientific research and develop clinical science as well. Finally, I will be looking forward to seeing all of you at the 8th Symposium in Panama, very soon. Long-term Macrolide Therapy for Chronic Rhinosinusitis: Evidence of Efficacy?